520 E Steve Owens Blvd. 217 W. Seve Owens Blvd. Posters prints and original artwork by artist Larry E Lamb. 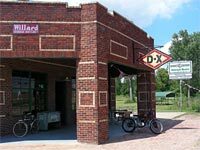 Old gas stations, drive in, restaraunt. Fine art paintings. Stonehill Grill offers a unique and varied menu including sandwiches, salads, steaks, fresh soups and rich desserts. We serve up a big town flavor with a small town feel. Modern and Vintage Jewelry and Arts with a Southwestern Inspiration. This shop includes a Route 66 Gift Section for those who love the Highway of the past. Grand County Lakeside RV Park is an adult (over 50) park on Grand Lake in Northeast Oklahoma. Lodging : motel rooms rv sites on Route 66 just west of Vinita OK. Specializing in custom apparel, Screenprinting, Embroidery, Direct-to-Garment. Route 66 flags & sport caps. USA & Oklahoma flags. 5,000 sq.ft.of new & used items. Hand made knives, arrow heads & flint knives. We also do small engine repair & sharpen knives. Open Wed. thru Sun. Organic homemade Body Butter. Enjoy the many benefits of Raw Shea Butter, Extra Virgin Coconut Oil, Vitamin E, Essential oil or Fragrance Oil. Extreme moisturizing benefits. Buy Sell Trade. Horse trading by Cherokee Nation Citizens ranching and fariming in the Cherokee Nation. We have a large amount of Wild Horses and We love to Trade. 175 years in the business. Trail of Tears Land handed down after the Indian Removal Act. We have lots of old Rusty Rt. 66 junk. We love to Junk. We love to trade but we WILL NOT ACCEPT JACKSONS. BRING CASH AND CHANGE IN $1s or $5's. NO! $20s = No Serve. We also have a small guest house in the Tulsa side of Downtown Rt 66. 310 West Will Rogers Blvd. 416 West Will Rogers Blvd. 508 W Will Rogers Blvd. World's Largest Gun Museum with just under 14,000 arms. However the museum has over 50,000 items on display. Western history, Native American history, military weapons, cowboy movie and TV items. In gift shop Route 66 material is for sale. 300 W Will Rogers Blvd. Shepherd's Shop on the farm is a unique gift shop featuring hand made, Made in Oklahoma items. This shop is located on a working sheep farm, and features "woolly items" including batts for felting, yarns, roving, and many more items made of wool. The store also carries 100% Natural Lamb meat - pasture raised. 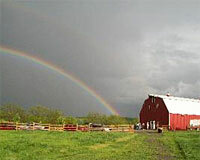 It is a super experience just visiting the farm and a must see on your way down Scenic 66. The Horse of Course Inc.
506 W. Will Rogers Blvd. Originally called the Casa Loma Hotel, The Campbell Hotel is a luxury boutique hotel located on Route 66 in midtown Tulsa. The hotel, which was built in 1927 as part of the Max Campbell Building, underwent extensive renovation and restoration before reopening to travelers in 2011. The Campbell Hotel features 26 uniquely decorated rooms, including a Route 66 suite; an upscale lounge; full-service spa; and 4,000-square-foot event center. Route 66 travelers: Ask about our special Route 66 discount and free guided tours of Route 66 in Tulsa (subject to availability; reservations recommended). Owners are avid Route 66 supporters. Oklahoma Army Surplus Store #5 Inc.
Gas station, kitchen and gift shop. 5802 W. 51st Street So. 23848 S 289th W Ave. I have 3 2/1b cottages totally remodeled and decorated one shabby sheek, western, farmhouse with unique features. Sleeps 6, cont. breakfast washer/dryers, home away from home on Route 66 in Bristow Oklahoma. 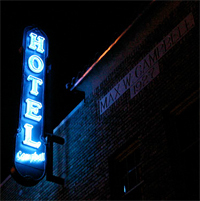 $79.00 per night plus 10.5 tax also offers from time to time drinks with Route 66 on front. 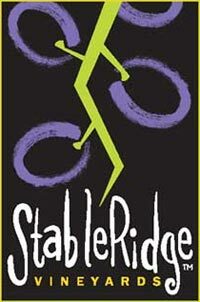 StableRidge Winery is located on Route 66 in Stroud, OK. We offer an unforgettable experience only a winery can provide; International award winning wines and an assortment of accessories from our gift shop. We are located in our town's historical 1898 Catholic Church building. We invite you to sit on our back deck overlooking our vineyard and enjoy a bottle of wine along with a piece of local history. McJerry's is the home base of noted Route 66 author, artist and mapmaker Jerry McClanahan. Stop by for a visit, check out his original Route 66 and classic vehicle artwork and prints, plus get your copy of the EZ 66 Guide autographed! We are a motorcycle museum and sell Rt. 66 items along with museum and motorcycle related items. Ghost Town Press is the site of author, photographer, and Route 66 historian Jim Ross. We sell books, Route 66 maps, and photographs. 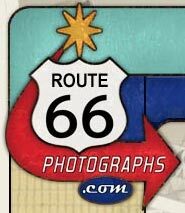 We sell prints of Route 66 images and also license images for commercial use. Choose from the listings on our website or contact us directly. If we don't have it in our archives, we will help you find it. 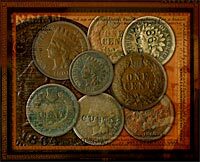 We offer graphic design and photographic services as well as Route 66 images for sale and a unique collection of art on canvas called "Big Money." 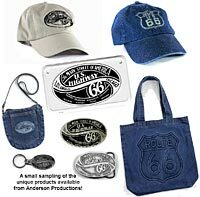 Products include t-shirts, sweatshirts, caps, visors, wall signs, belt buckles, pins, decals, stickers and more. The Mercantile Store carries a wide variety of items including alpaca fleece apparel, Made in Oklahoma products and vintage and collectible. Check us out on Facebook. 2712 S Country Club Rd. Since 1942, Johnson Peanut Company served Oklahomans and travelers on the historic Route 66 some of the best peanuts around. When the legacy began to fade, the twin granddaughters of the original owner stepped in and rescued Johnson Peanut Company from oblivion. Now redubbed as Nutopia Nuts 'N More, the store continues to draw in an eclectic and hungry crowd of travelers and Oklahomans. 101 S. Sheb Wooley Ave.
17724 E. 112th Street N.
Buy, Sell Trade Vintage Rt. 66 Memorabilia. We also restore Hot Rods & Gas & Oil Antiques. Lots of Phillips 66 Antiques.